"The TP1 Trick Drum Polish is my secret weapon! I use it for restoration of my vintage inventory and for upkeep of the current gear. It’s amazing on the lacquer and the plated metal. Also, it leaves a protective coating on the finish, this stuff is priceless!!" Russ Miller is internationally known as one of the top drummers of today. A Multi-Platinum recording artist, he has played on multiple Grammy® award winning recordings with combined sales of over 26 million copies. As a star of the Los Angeles studio scene, the Modern Drummer Magazine Readers Poll has repeatedly voted Russ in the top 5 Studio Drummers in the world. He has performed on more than 400 albums (including many #1 Billboard hits like Nelly Furtado's "Whoa Nelly" and Hilary Duff's "Metamorphosis"). Russ has also recorded for countless T.V. shows and over 60 international movies (such as #1 box office titles, “Chicken Little", "Fracture", "Storks", "Resident Evil Apocalypse", "Percy Jackson" and the "Boondock Saints" series of movies, just to name a few). Along with his sideman recording credits, he’s been a staple on T.V. house bands, such as the hit T.V. show, American Idol. Russ also has four critically acclaimed solo albums, Cymbalism, Arrival, the Arrival Live concert DVD/CD and his latest "Chegada3" with the Arrival Trio. In addition, Russ performs educational clinics throughout the world for Mapex Drums, Zildjian, Remo, Vic Firth, DW racks and hardware, Zoom AV products, Porter & Davies Tactile monitoring, Hercules stands, May E/A Mics, Prologix, SKB cases, Arrel Audio Electronics, Puresound Snares, Cympad, Switchkick and Meinl music instruments, for which he maintains product endorsement relationships and multiple signature instruments. Russ has been bestowed Professorships at the Shanghai Conservatory and the Beijing Music Academy. 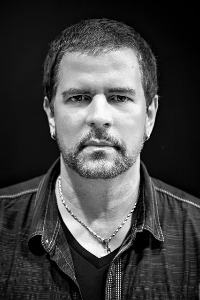 Along with authoring two books: The Drum Set Crash Course and Transitions and his three videos, "Arrival-Behind The Glass" from Hudson Music, The Drum Set Crash Course and The Drum Set Crash Course Tuning Edition from Alfred Publications, Russ is a 7-time Modern Drummer readers poll winner. His solo projects were also voted the #1 educational books and videos in the world (2001-2004). For info please visit www.RussMiller.com.